With the temperature dropping these days I'm all about outwear and new ways to spice it up.I find capes really interesting pieces that add an extra level of style to any outfit.Last year I used this pattern from Fitzpatterns to make a cape as a Christmas present for my mum and I really liked the outcome.So this year I think I'm gonna try to make one for myself. What are your thoughts about capes? 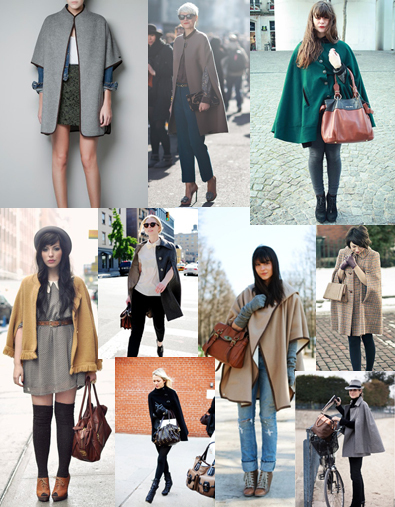 I think capes are so lovely, if they're styled right! You have a really good fashionable blog. Thank you so much!I really like your blog!Wish you a nice start to the new blog!